Dikila is Tibetan for "peace and happiness." 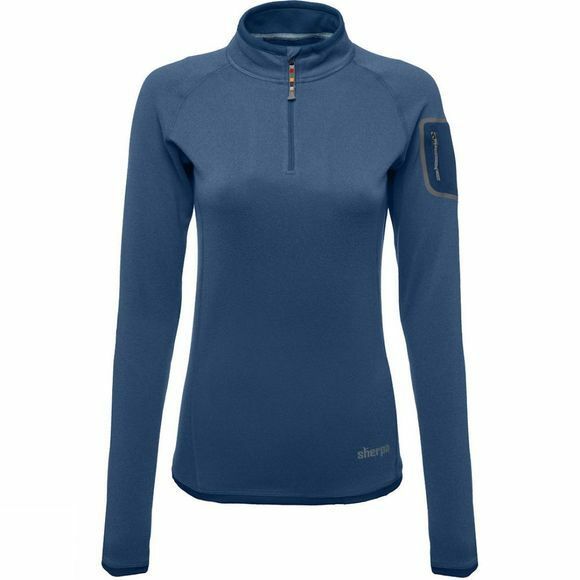 The Womens Dikila Zip Tee from Sherpa is designed using Dry–Zone, which has a smooth interior for easy on/off over baselayers– providing warmth without adding weight. With a UPF rating of 50+ making this Zip Tee ideal for high heat or humid conditions.